Today we received an exciting box of treats from all the Sainsburys vouchers that parents, grandparents and friends had collected. We had ordered a tent with tunnels, pot stilts and some large dice. All the children were very excited as we unpacked and put them together. These items will be great to further the children’s development. 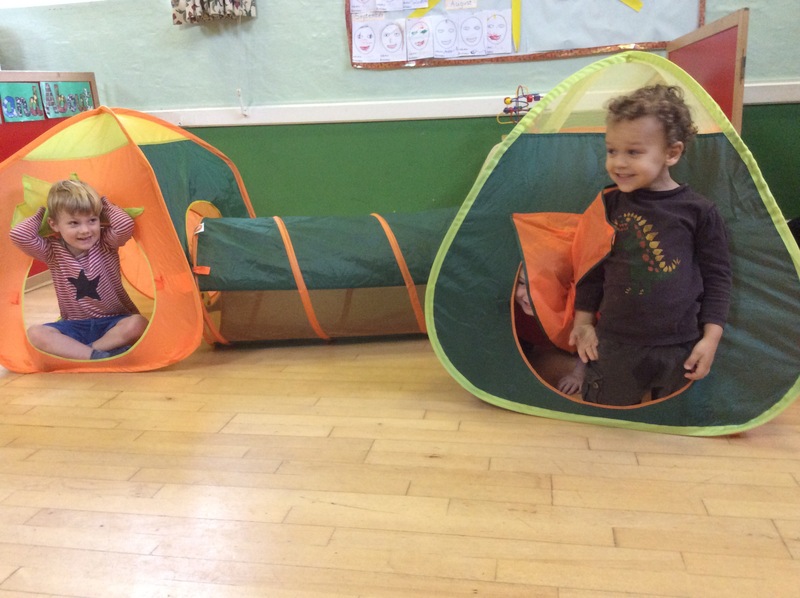 They cover many of the EYFS ‘areas of learning’ ( https://www.gov.uk/early-years-foundation-stage ). 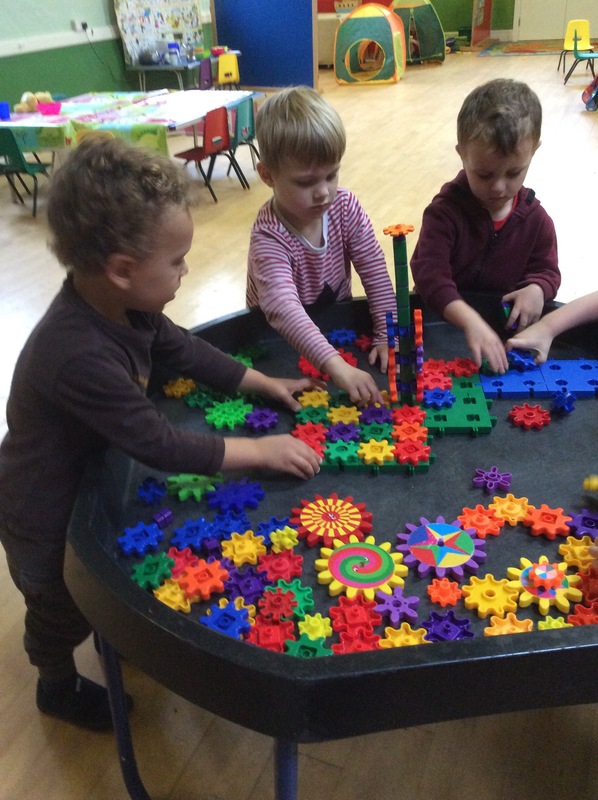 In the fine motor tray today we used the gears. Some of the children made a elaborate gear system using them horizontally and vertically. 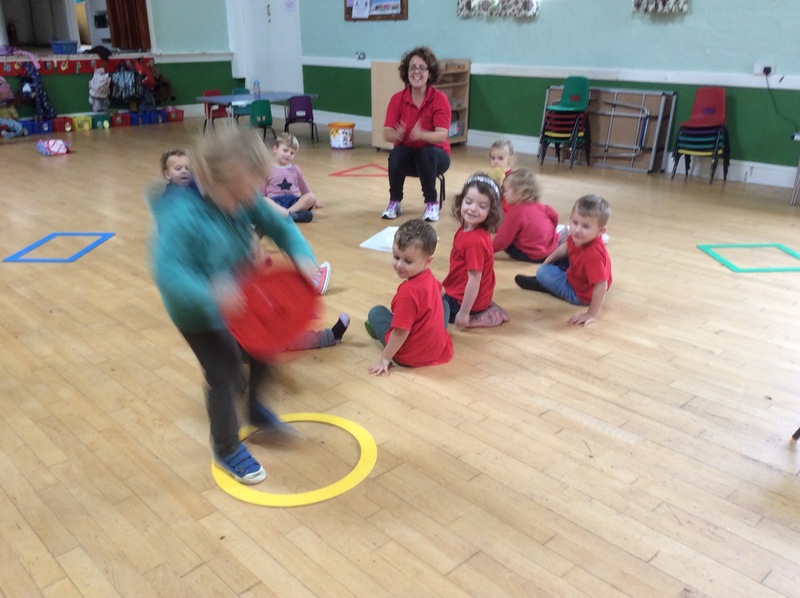 At circle time we played a shape game. 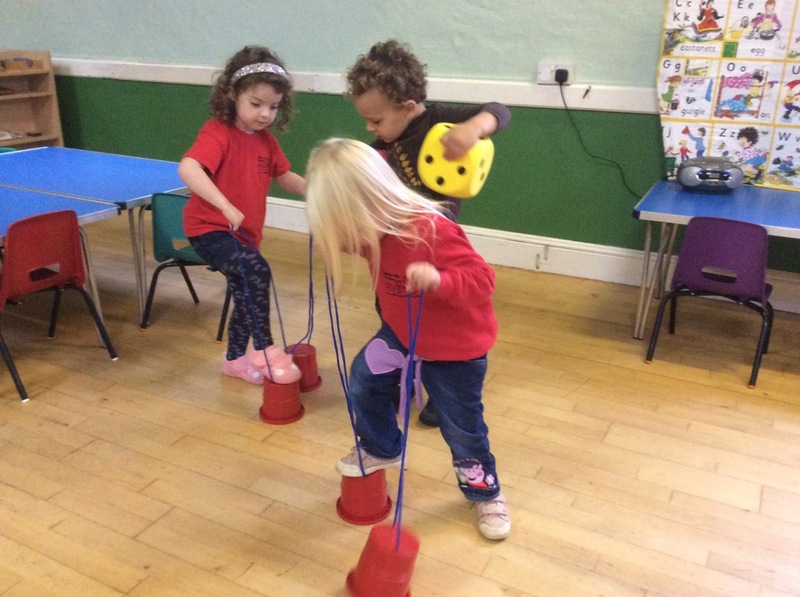 We placed various shaped items in a bag, the children reached into the bag named the shape, and had to run to appropriate shape on the floor. We had great fun with this game. Issy read today’s story then we all sang Happy Birthday to Aster who is 4 today!